Friction blisters are something that the majority of people will encounter throughout their life. They are caused by the repeated rubbing of clothing or shoes on your feet. The blisters occur when the outer and inner layers of skin separate, the space with in the layers is filled with lymph fluid. Friction blisters can be very painful and uncomfortable and as a result could cause problems when walking. 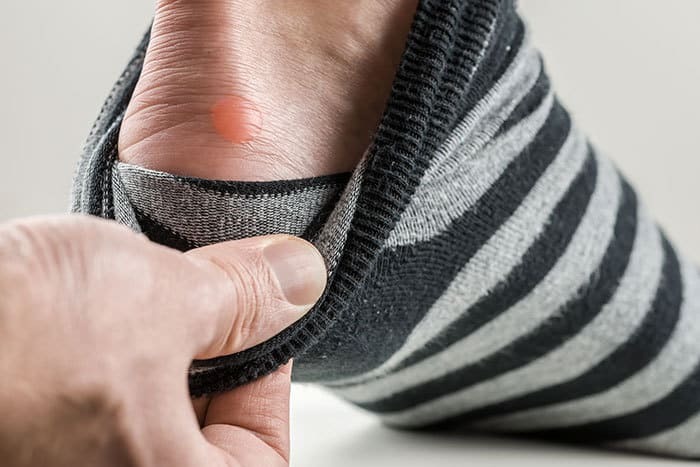 If you think you are suffering from Friction Blisters then give us a call on 01386576128 or get in touch via our contact page to arrange an assessment to see how we can help you.